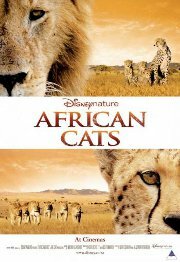 Disney Natures takes a look at how three different families of Big Cats (lion, leopard and cheetah) struggle to survive and raise their families on the African Savannah. Life is tough and death is always close at hand. Parents with young children are advised that the PG rating is perhaps a little lenient.